«« VOX All Access: Backstage and Behind the Wall at Yankee Stadium with Snowy White. We caught up with guitarist Snowy White (Pink Floyd, Roger Waters, Thin Lizzy) at Yankee Stadium durng the "Roger Waters -The Wall Live" tour. 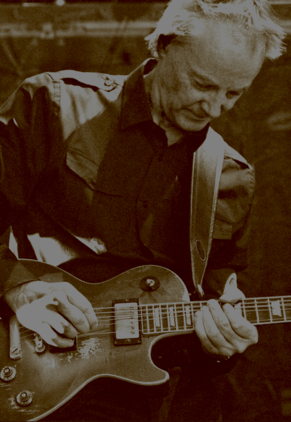 The film editing and audio mixing for the new Snowy White and Friends DVD,«After Paradise» has been completed. Release date 28th September, 2012. "JUST FOR FUN" Live shows March 2013. Denny Newman (guitar and vocals). 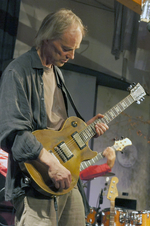 Snowy White is one of a handful of British blues guitarists and song-writers; although born in Devon, he grew up on the Isle of Wight, his family moving there when he was three years old. His father lead a dance-band called ‘Don White’s Dance Band’, as a drummer. An exclusive concert week end at De Bosuil, NL, on 16th September 2011 and at the Gaste Garage Hasbergen, Osnabrück, DE, on 17th September 2011 and supplied their enthusiastic fans from England, Holland, France, Switzerland, Japan, Spain, Israel, Germany etc. The legendary guitarist Snowy White, who’s at the moment with the pardoned Roger Waters on world tour, gave us the chance to explore the hall stadium of Zurich in which we might experience very closely and really gigantic look from behind the stage.